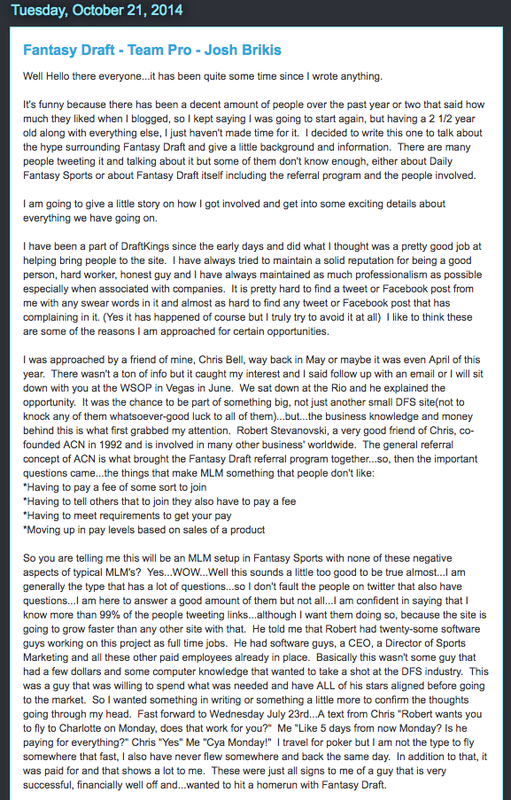 FantasyDraftNation post that was never taken down from the RotoGrinders forums. 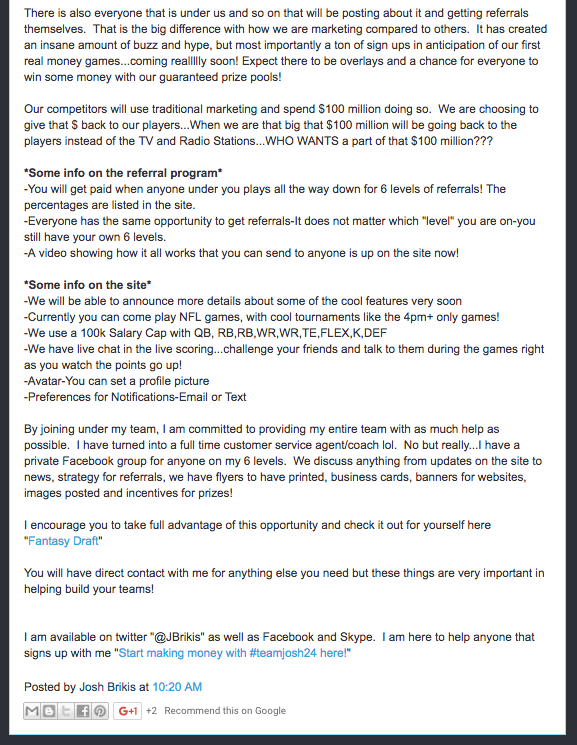 In my time at RotoGrinders, I never saw a post like this be allowed to stay up for more than a few hours, if that. 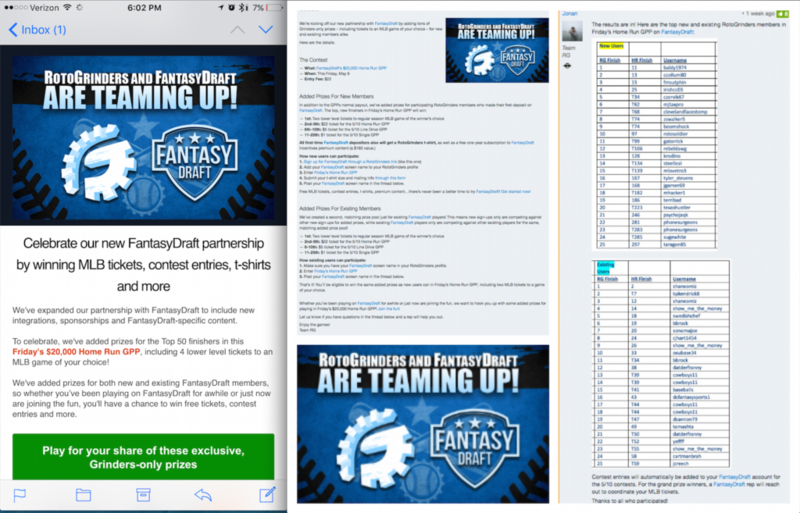 RotoGrinders new partnership with FantasyDraft. 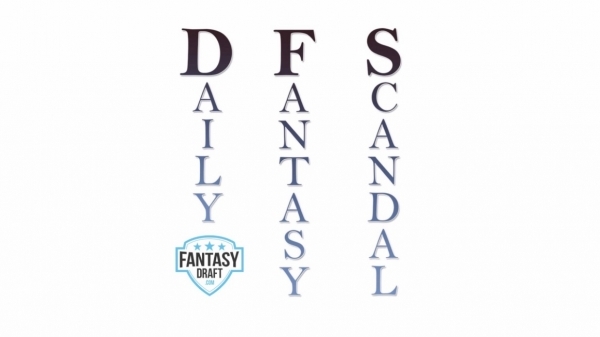 One aspect of their new partnership is to employ my idea from the Daily Fantasy Circuit. 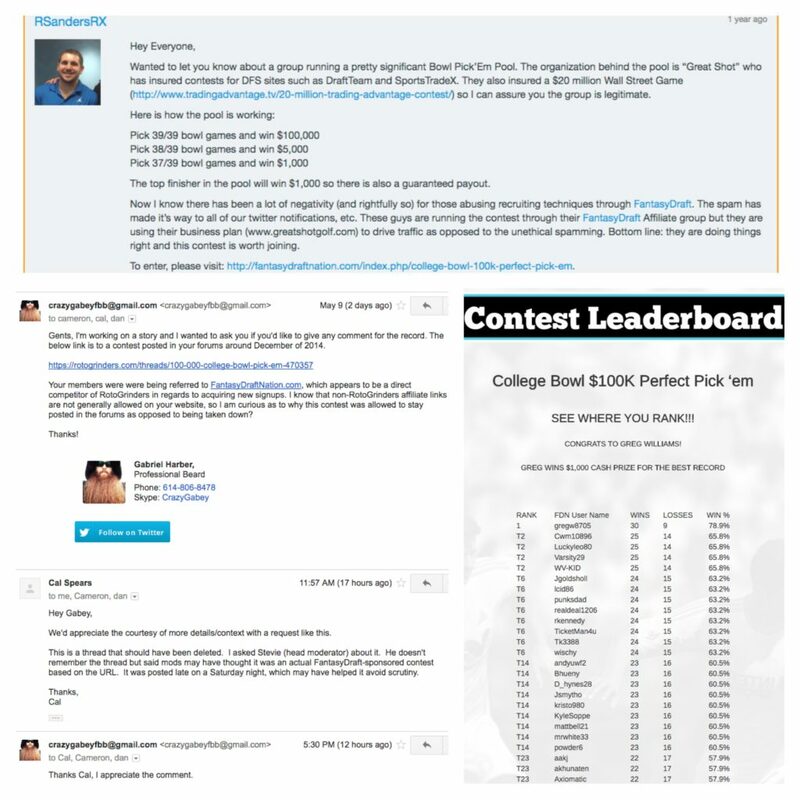 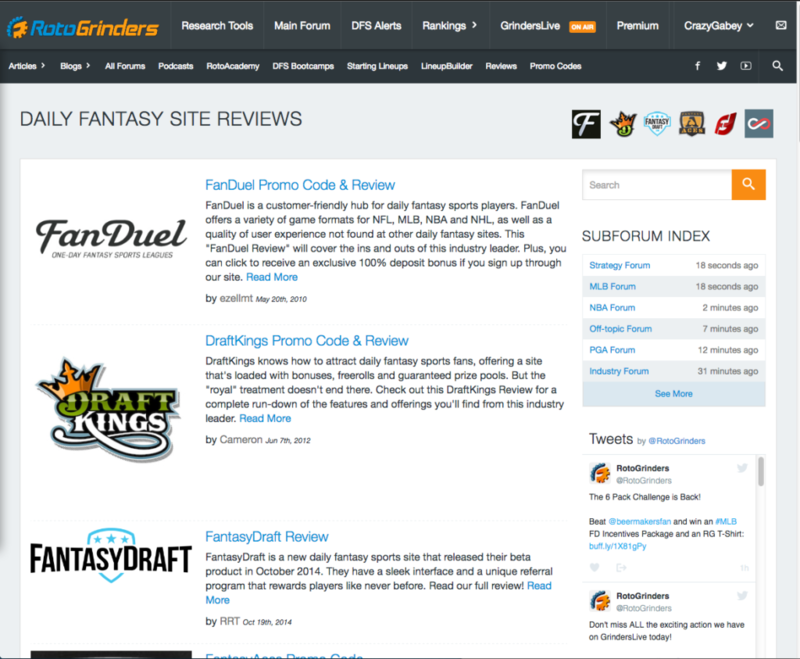 FantasyDraft listed “above the fold” on the RotoGrinders review page. 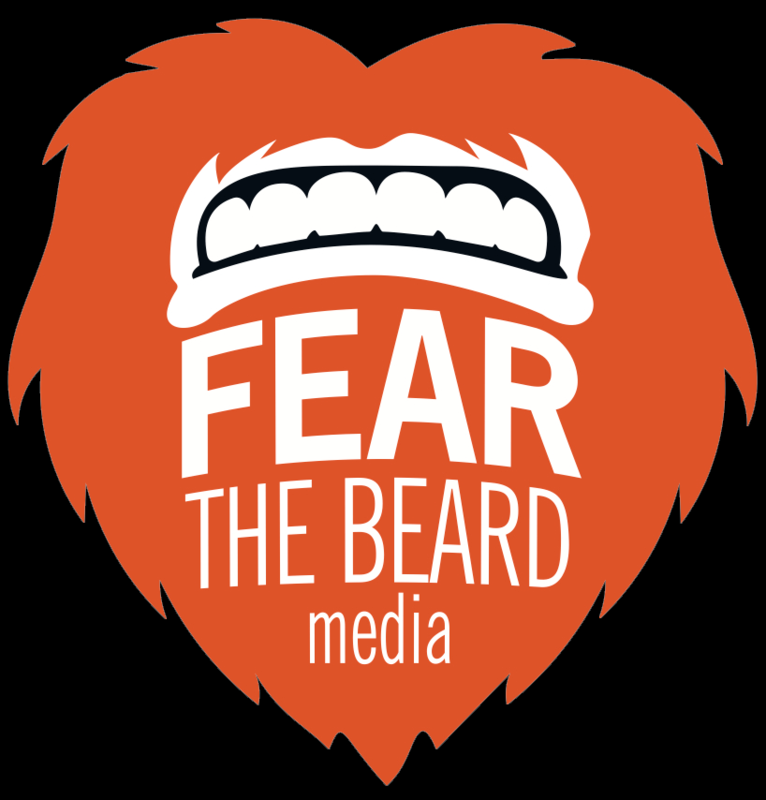 This term hails from newspapers, and it refers to what you see at first glance, without having to unfold the paper, or in this case scroll down.